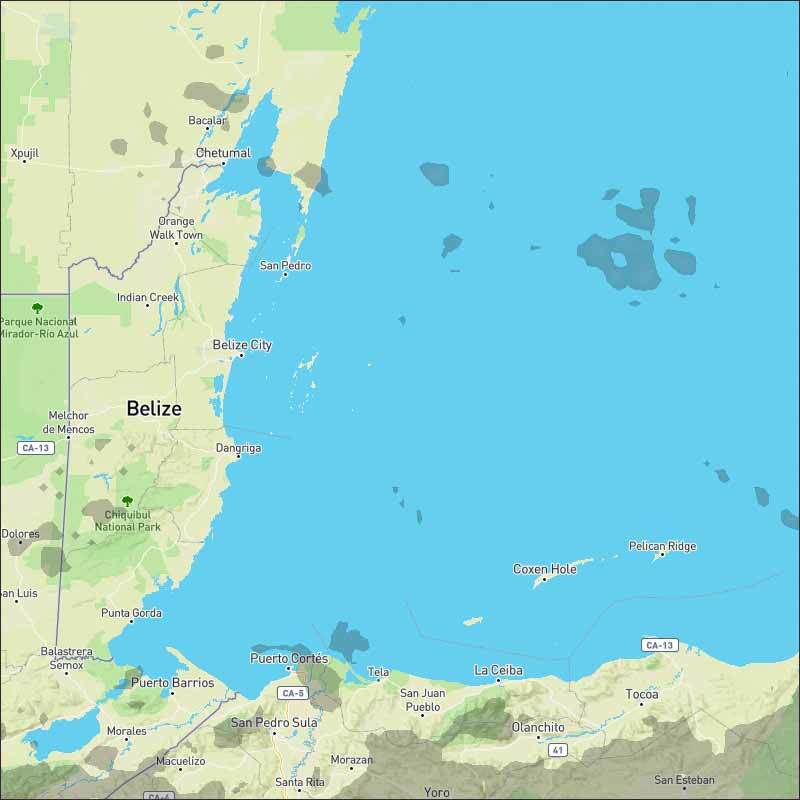 Belize NMS: A slight increase in moisture and instability is expected today. 24-hour forecast: Skies will be sunny with some cloudy spells today and cloudy at times tonight. Showers will be isolated except for a few more and the chance of an isolated thunderstorm inland or in the north this afternoon, then over the south tonight. General Outlook: For Sunday and Sunday night is for cloudy spells with a few showers and isolated thunderstorms, especially over inland areas. Today E 10-20 kts Moderate 4-6 ft A FEW SHOWERS NORTH. 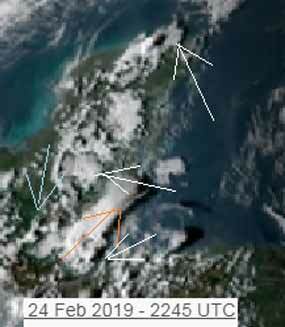 Tonight E 10-20 kts Moderate 4-6 ft A FEW SHOWERS OR ISOLATED THUNDERSTORMS SOUTH. Outlook E 10-20 kts Choppy 3-5 ft ISOLATED SHOWERS OR THUNDERSTORMS. A tight pressure gradient between the Bermuda 1025 mb High and the Colombian low is forcing winds of near gale over the central Caribbean and reaching gale just north of Colombia. No significant deep convection is occurring over the Caribbean. See the Special Features section above for details about the Gale conditions and forecast discussion. High pressure north of the region will maintain fresh to strong trade winds across the central Caribbean and Gulf of Honduras during the next several days. Winds will increase to gale force along the coast of Colombia, through Wed. Long period north to northeast swell will move through the Atlantic waters and Caribbean Passages east of 65W through Tue. There is a change to our weather, but it might not be noticeable. 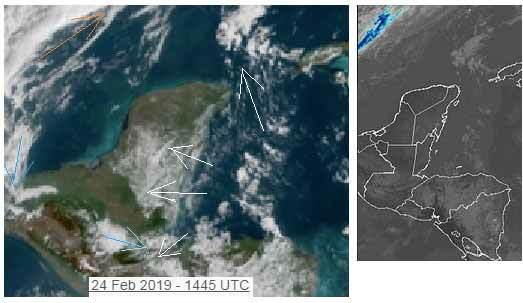 There is more cloud around and there is cool air coming down over the Gulf into southern Mexico and causing some cloud movement from the west over Guatamala towards Toledo, there is also some chunky Caribbean clouds out at sea, but that is not causing rain anywhere. Looks like another sunny day, but with even more cloud than yesterday, but still no indication of any rain, possibly some late this afternoon or evening. With all these changes, it is not clear how tomorrow Monday will turn out, I suspect a fair bit of cloud, some sunshine, and a chance of some rain, probably only a small chance.